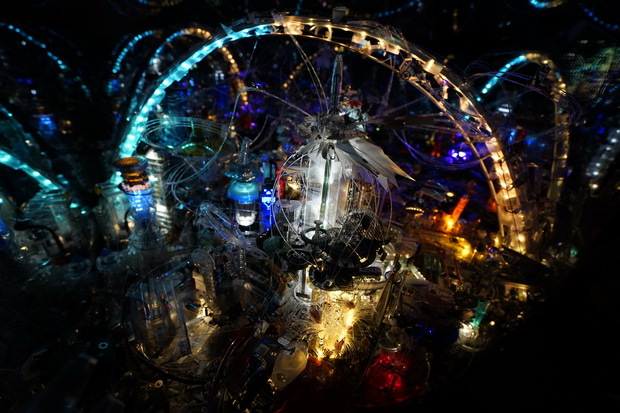 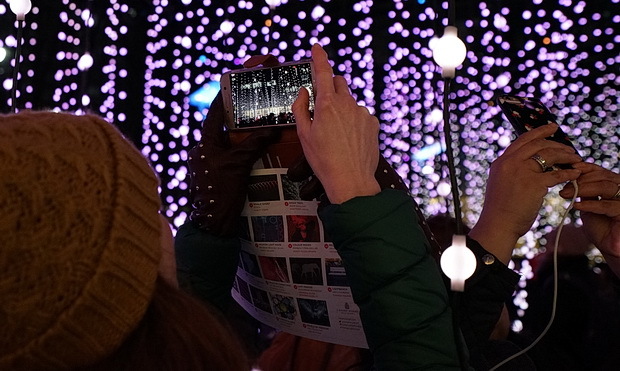 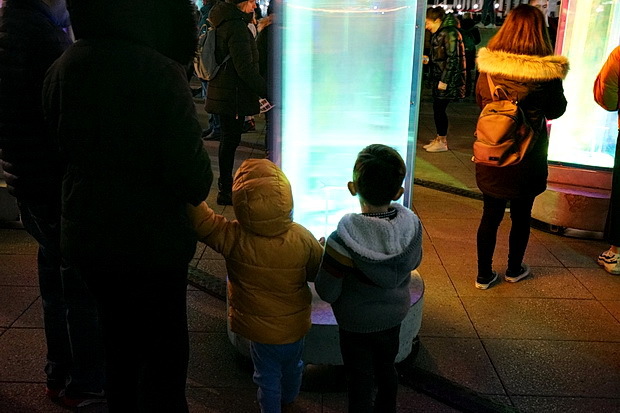 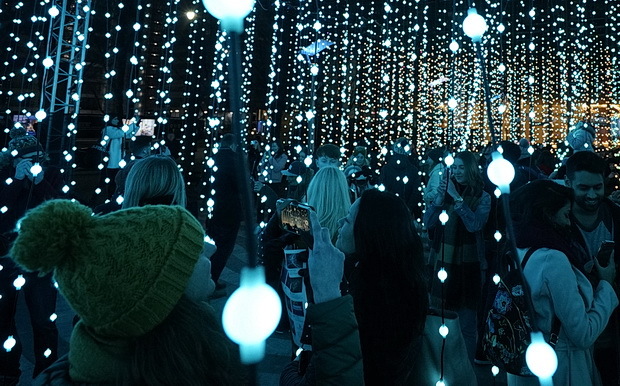 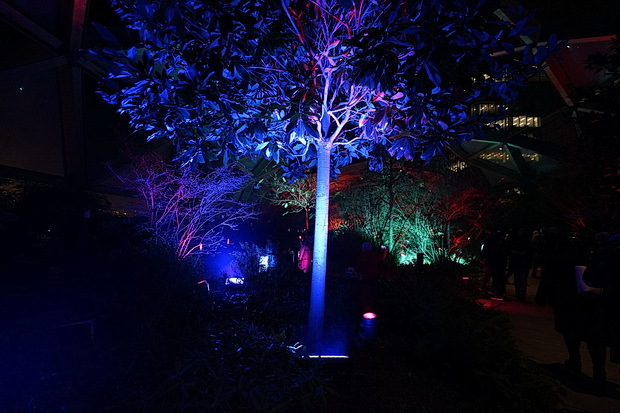 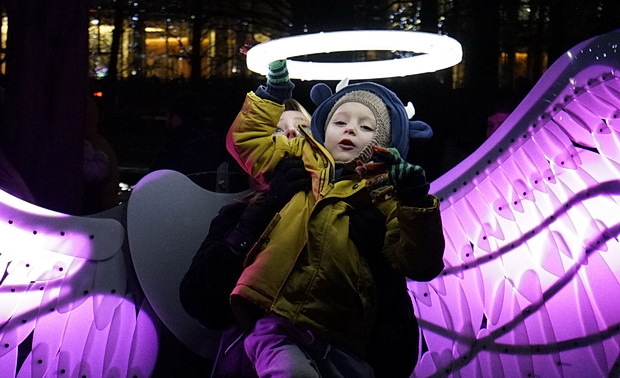 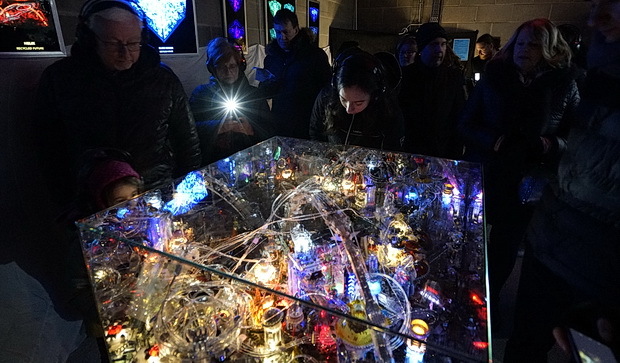 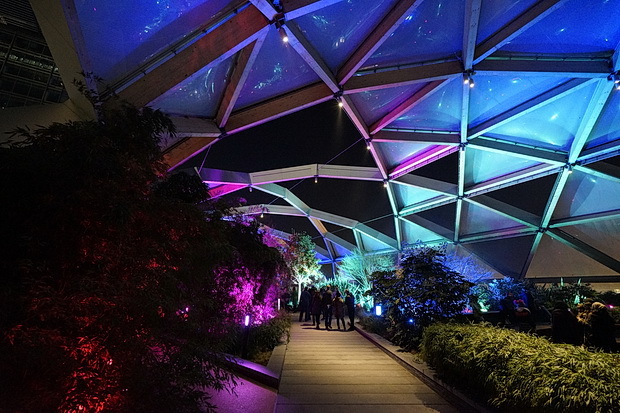 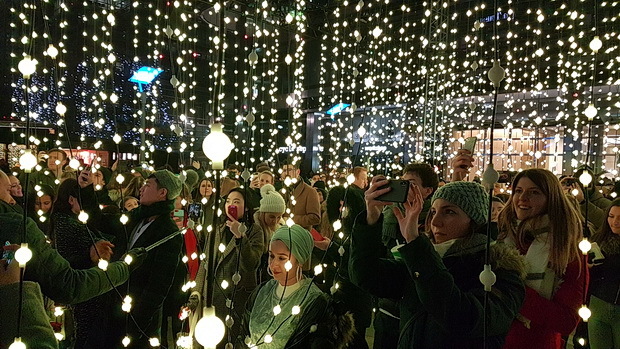 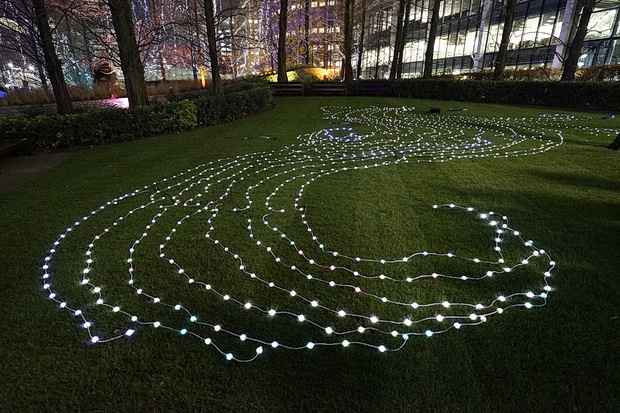 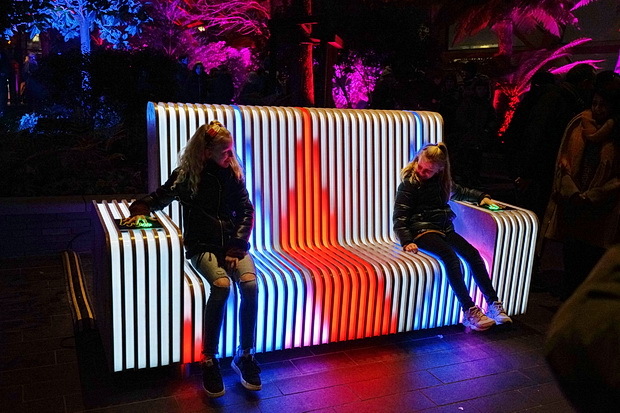 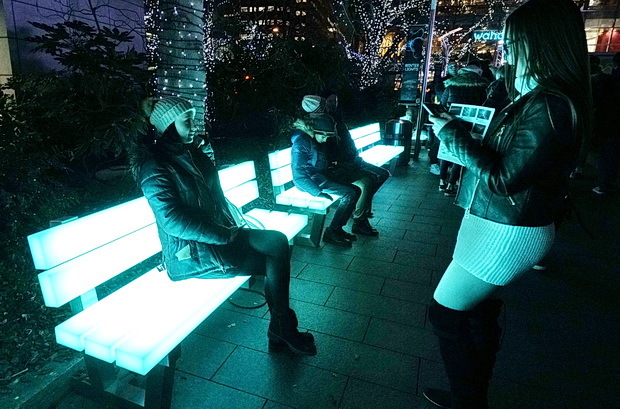 Running until Sat 26th Jan 2019 and now in its fifth year, the London Winter Lights festival showcases state-of-the-art light technology in a series of interactive and responsive artworks, installations and experiences. 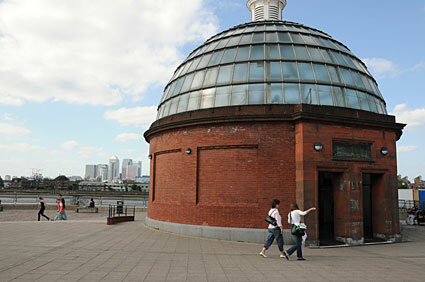 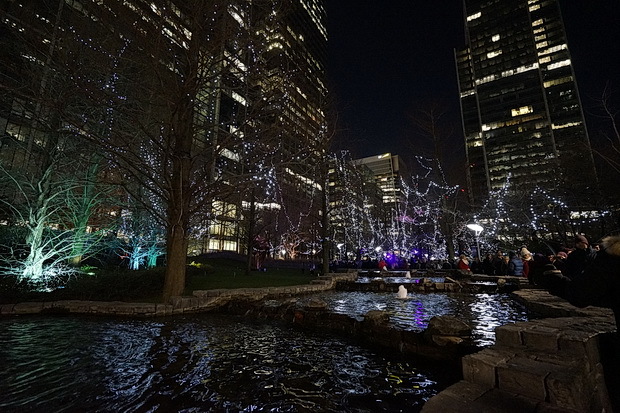 The good news is that the festival is free – just hop off the tube at Canary Wharf and get stuck in – but the bad news is that it was even busier than I visited two years ago. 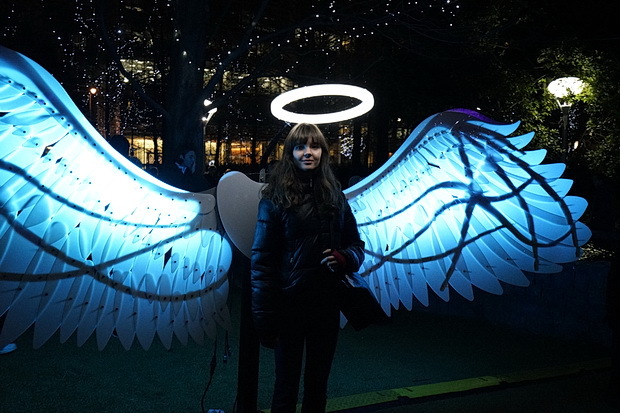 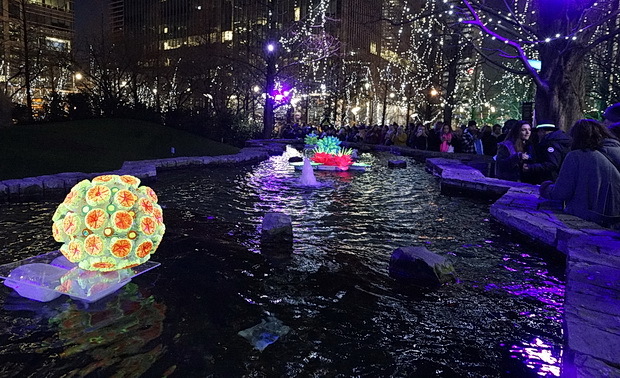 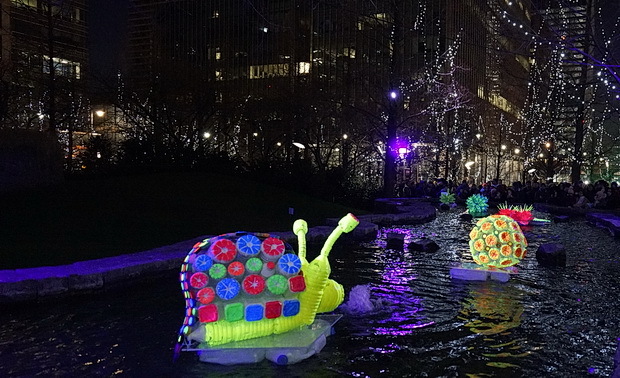 See my 2017 review here: Winter Lights festival in Canary Wharf: crowds, selfies galore and disappointment). 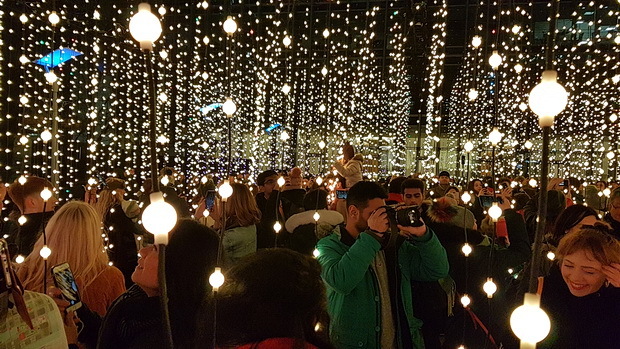 Once again the thronging, smartphone-snapping masses made it difficult to enjoy many of the exhibits, with people walking into each other as they tried to view the show through their smartphone screen. 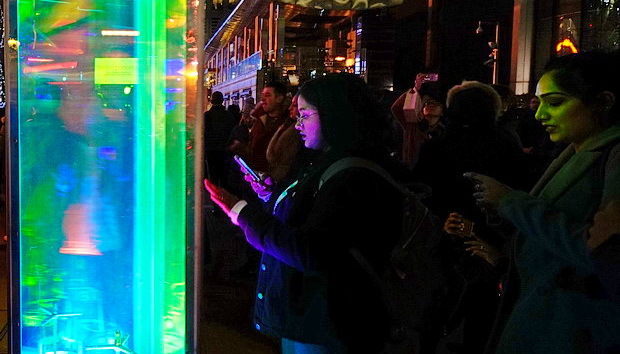 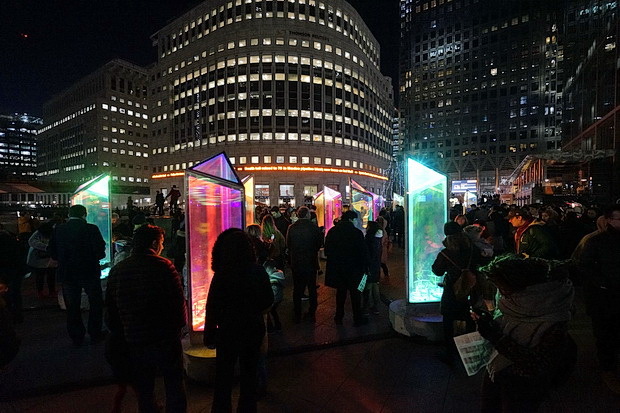 The Prismatica installation let people spin around illuminated giant prisms. 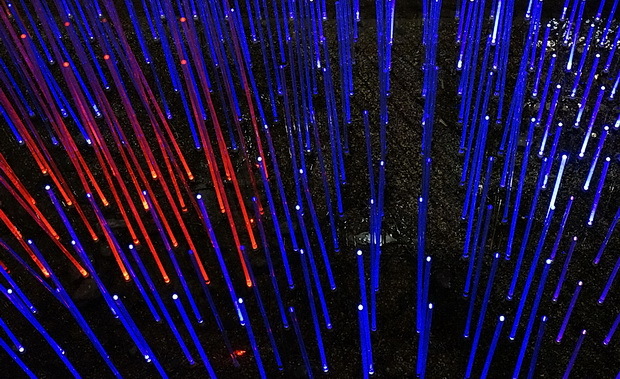 ‘Angels of Freedom,’ by the Oge Collective. 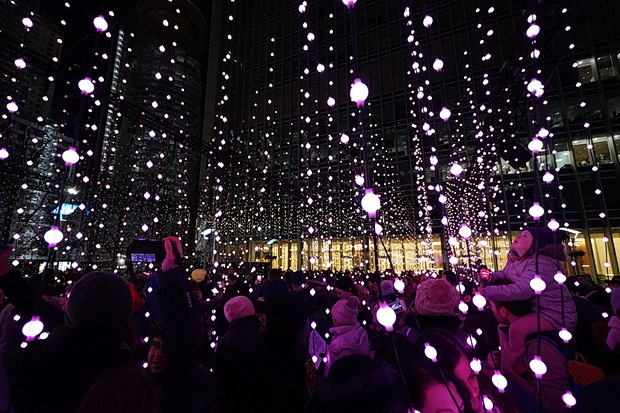 Submergence by Squidsoup was my favourite. 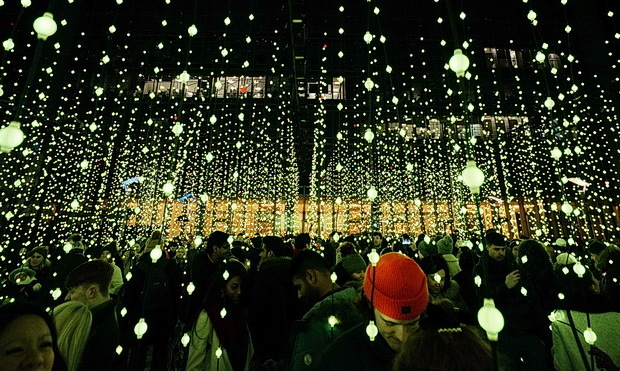 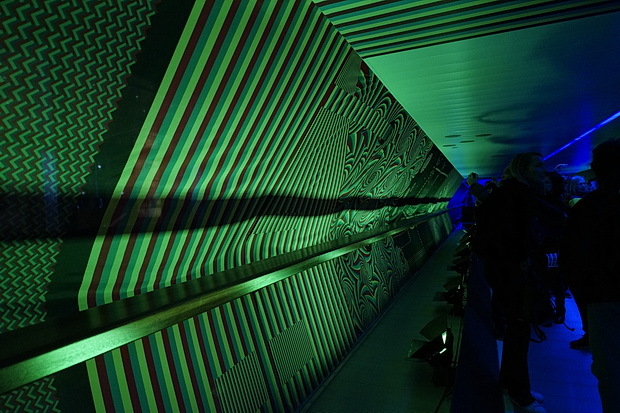 A large, immersive, walkthrough light experience featured 24,000 individual suspended lights that pulsed and changed colour in waves. 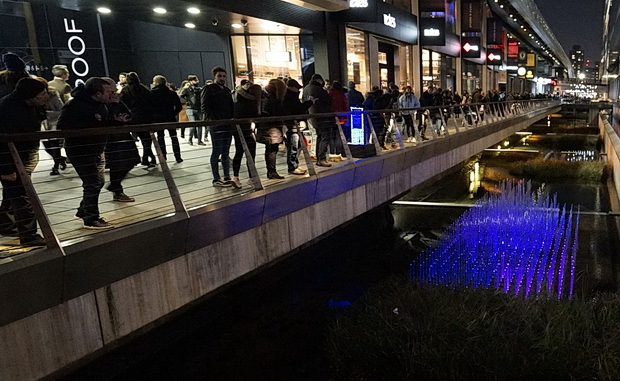 The huge crowds made it very difficult to appreciate the ‘Colour Moves’ piece in the Adams Plaza Bridge. 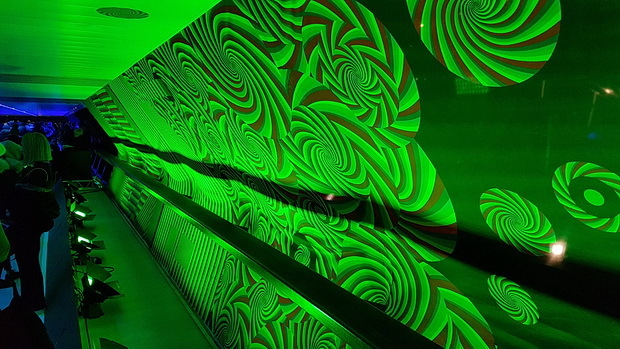 Martin Richman’s permanent installation of more than 500 illuminated acrylic rods installed in a water channel. 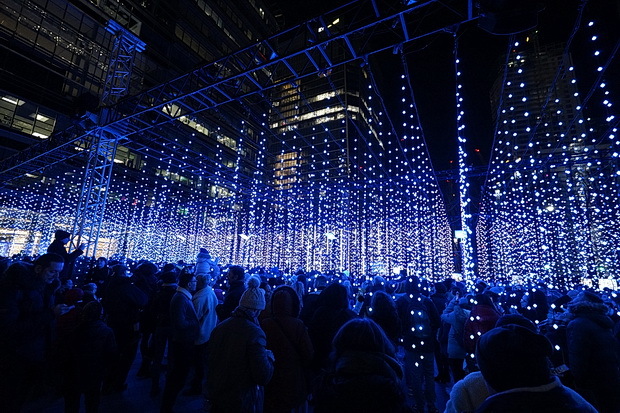 More info: Winter Lights website. 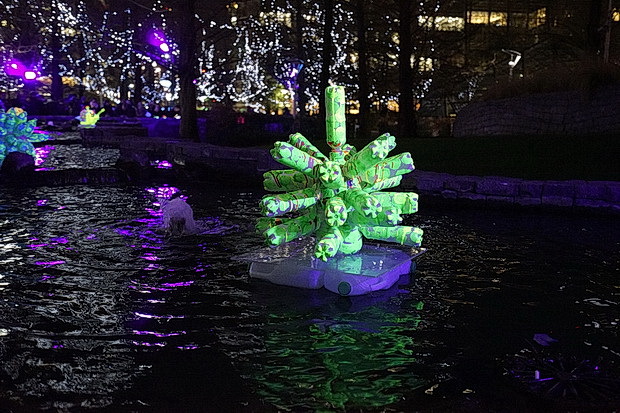 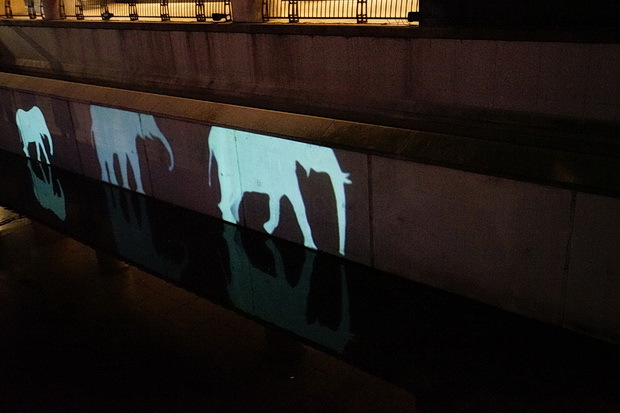 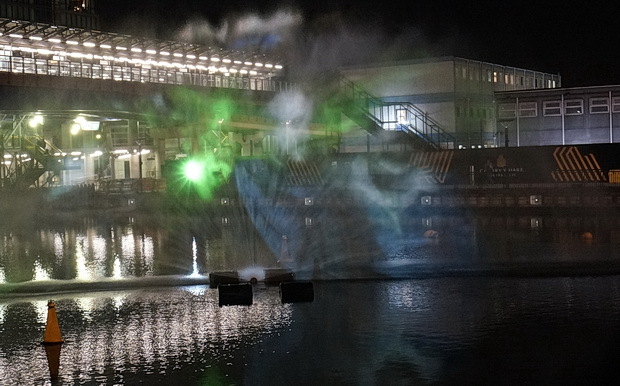 Canary Wharf, London – runs until Sat 26th Jan 2019.